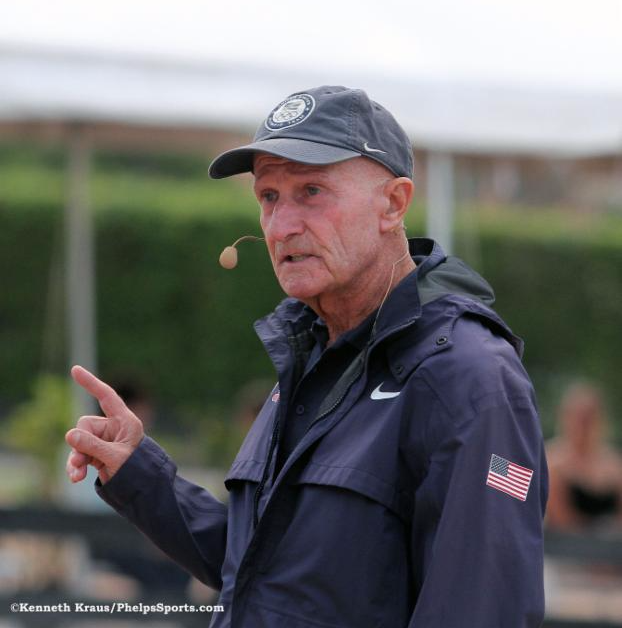 Omaha, Nebraska, October 5, 2017 - George H. Morris, Olympic rider and legendary coach, considered by many to be the "founding father" of modern hunter and jumper seat equitation in the United States, will headline the show jumping Showcase at the 2018 International Omaha on April 12-15 at Omaha's CenturyLink Center. "We are thrilled to have a man considered a 'living legend' and certainly one of the most influential horsemen in the country as a part of the International Omaha in 2018," said Lisa Roskens, founder and chairman of the Omaha Equestrian Foundation (OEF). The foundation, which hosted the 2017 FEI World Cup Finals™ in jumping and dressage, also hosts the annual International Omaha. At the Jumping Showcase on Saturday, April 14, 2018, Morris, who was inducted into the Show Jumping Hall of Fame in 2000, will conduct a modified clinic in the main arena at the CenturyLink Center, instructing some of the Midwest's best young equitation riders. The riders are being selected based on their performances in high level equitation classes, including US Equestrian's Hunter Seat Medal and ASPCA Maclay classes at selected horse shows throughout the Midwest. Among those shows are the HITS Balmoral in Chicago, American Royal in Kansas City, St. Louis National and the National Western Stock Show in Denver. "We are committed to the development of show jumping riders and horses in the Midwest," Roskens said. "This is a terrific opportunity for them to learn from the best and to ride in front of the enthusiastic International Omaha audience." Roskens added that, in addition to the ticketed Jumping Showcase, Morris will also conduct demonstrations that will be free to the public. The 2018 International Omaha will also feature a $130,000 Grand Prix and the finals of the inaugural $100,000 InIt2WinIt Speed Jumping Series, launched this season by OEF. In addition to the Jumping Showcase with Morris, a Dressage Showcase is planned, along with a new Dressage Team competition featuring top riders performing in Grand Prix and in the popular Musical Freestyle, paired with amateur and young riders. The four-day event will again provide free educational, exhibit and demonstration areas, along with shopping at over 120 equestrian vendors, dining and entertainment. Morris, 79, began riding as a child and at 14 was the youngest rider ever to win both the AHSA Hunt Seat Medal and ASPCA Maclay national finals. He went on to become one of the most celebrated Grand Prix riders in national and international competition, winning a team silver medal in the 1960 Rome Olympics and riding on eight winning Nation's Cup teams for the USA. He then launched a successful coaching and teaching career that produced four Olympic Gold Medalists including Conrad Homfeld, Melanie Smith-Taylor, Leslie Burr Howard and Chris Kappler, as well as other Olympic medalists such as Anne Kursinski, Norman Dello Joio, Peter Leone and Lisa Jacquin. Along the way, he helped launch the careers of many successful trainers and riders who earned accolades in national and international competition. In 1988, after 30 years as a coach, Morris returned briefly to competition, winning the $500,000 Du Maurier Grand Prix at Spruce Meadows in Canada. He became chef d'equipe of the United States Olympic team in 2005, a post he held until 2012, and today shows no sign of stopping as he conducts clinics for aspiring riders throughout the country. 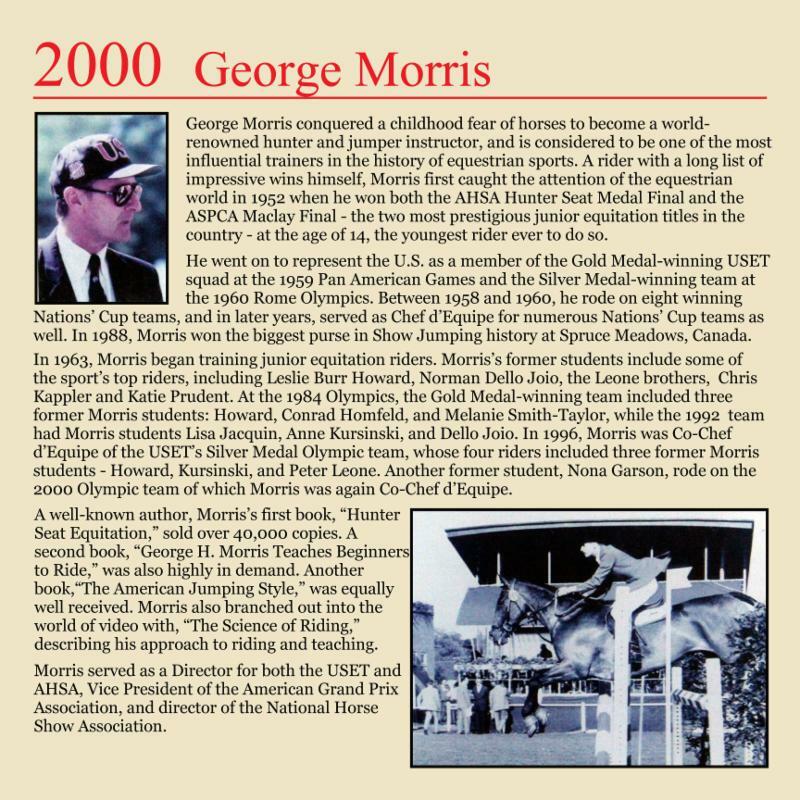 Morris is known as the man who literally "wrote the book" on American jumping style, beginning with the classic "Hunter Seat Equitation," first published in 1971 and reprinted several times since. This was followed by five other books, including his recently published autobiography, "Unrelenting - The Real Story." Morris is no stranger to Omaha. In the 1970s he conducted a number of clinics for riders at the Ponca Hills Farm north of Florence. He is known for his candid critiques, and for challenging riders, demanding discipline and focus, while instilling exemplary horsemanship skills. VIP tickets go on sale on October 16. For more information on the 2018 International Omaha and the George Morris clinics, please call 402-930-3079 or visit www.InternationalOmaha.com.